Any mountain bike rider passionately dreams about riding uphill carelessly without stress and pain. Sometimes, no matter what the pain is you ride through it just because of the inexplicable experience when you get in touch with the nature up the hills and the feeling of fresh air after somewhat of an exhausting ride going up. 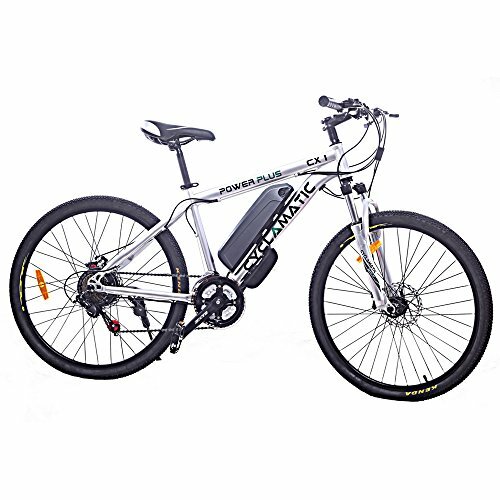 The Cyclamatic power plus is the electric bike that you can rely on when successfully going mountain-biking as it is very practical and brings enjoyable experiences to the table. Unlike the previous version, it has a better motor and battery and it is perfect in every meaning of the word. The Cyclamatic Power Plus CX1 covers it all. Let’s start from the incredible performance. The bike has an engine with a sensor that helps and boosts you while driving uphill as soon as you start to pedal, or even if you start from a full-stop. It makes driving uphill seem like you are driving on a straight road. There are three levels of pedal assists, low, medium and high, that you can select using simple handlebar controls. A really awesome feature is that the battery re-charges while you are cycling with the engine turned off. This bike is comfortable and suitable for most terrains. The design is both stylish and safe. 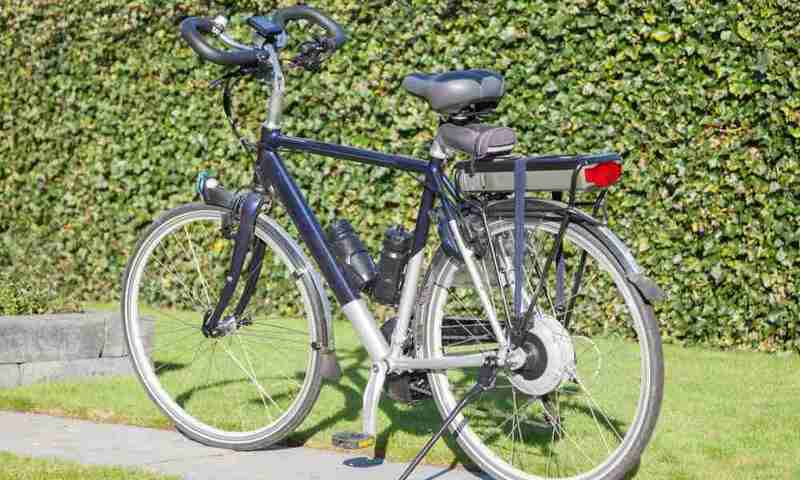 It is very well built, there isn’t any plastic used on it, except the mudguards. It’s soldered accurately, meaning no sharp edges, or uneven areas. Assembling the bike is really simple, due to the fact that it’s packed in an organized manner. The battery is fully sealed, so you don’t have to worry about the weather conditions, sun or rain. 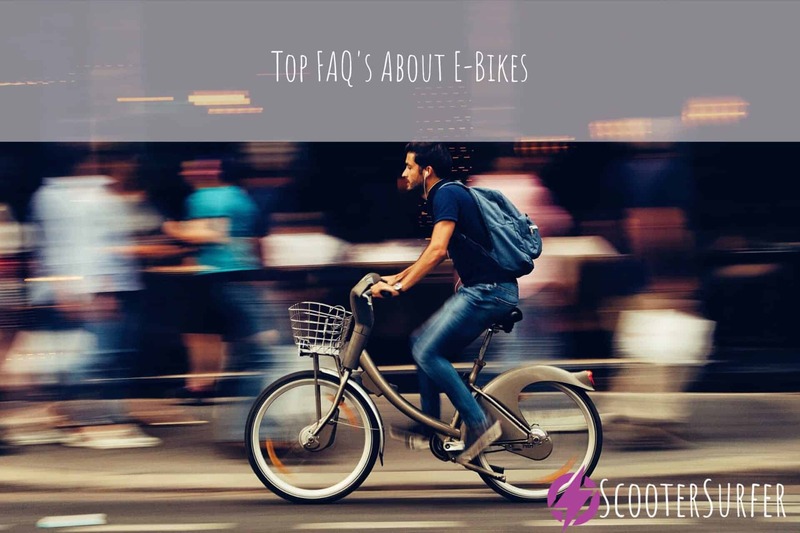 A full charge of 4-6 hours will provide around 26-32 miles travel, on a regular terrain, going at a speed of up to 10-15 mph. It includes 7 gears that are very simple to use and fast to change. It also has very strong front breaks, so it might be a good idea to use them wisely. This bike is eco-friendly and pocket friendly, meaning there’s no gasoline usage, no licenses of any kind and no need for insurance. Compared to other regular bikes, the Cyclamatic Power Plus CX1 is more reliable. It makes riding easier and provides you with a boost when in need, or maybe a rest if you are too tired to pedal. The pedal assist features are one of a kind and you won’t find it in other bikes. You’ll be able to give your legs a rest when feeling tired, keep your muscles fresh and prevent soreness. Keep in mind that this isn’t a scooter, it’s a pedal assist bike and it is meant to boost your cycling experience. So you better expect that you will still have to put in work and pedal, but the work will be far easier than the work put in using a regular bike. The downside of this bike that it is somewhat heavier than the regular bikes. 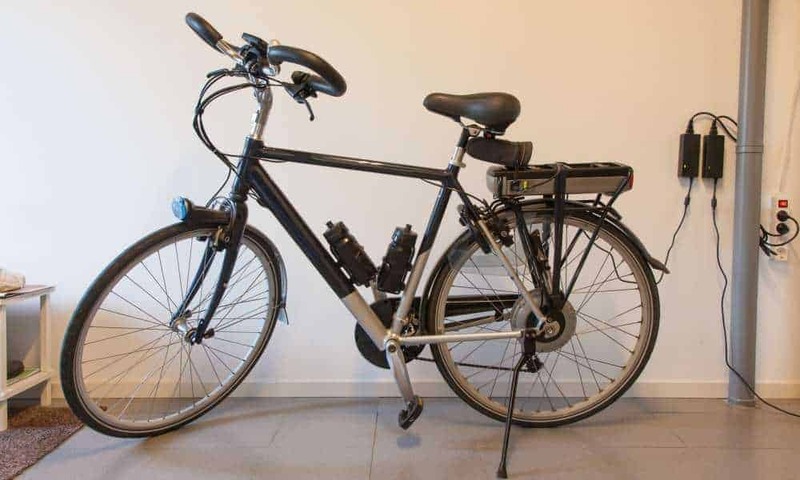 That is understandable, taking into consideration the materials that this bike is made of, also add to that the battery that is used for the pedal assist mechanism. It’s not very flexible and adjustable, the handlebars can’t be lowered or risen, and you can only adjust the angle of them. Also the seat is not that comfortable, but it is changeable and you can get a custom one suitable for you. Overall the Cyclamatic Power Plus CX1 is an upgrade for your biking experience. If you are looking for a little boost in your driving then it will be a good choice. 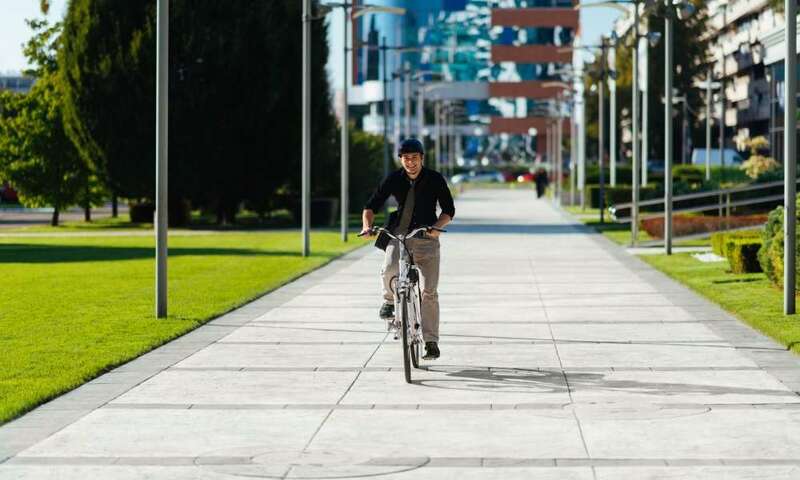 Unlike regular bikes the pedal assist will make both every day and mountain biking easier for you. You won’t have to worry about feeling exhausted and tired every time you drive uphill. It also is a high quality bike, the materials used to build it are top notch, along with the great design, making it eye-catching. Very simple and easy to assemble, it comes with all the tools you’ll need for the job. It’s quite fast too, once the battery kicks in and it will as soon as you start pedaling. You’ll feel the momentum straight away. Charging the battery won’t be a problem, you just have to shut the engine off while you pedal. If used in the way it’s meant to be used, and that is as a pedal assist bike (not as a scooter), then this bike will answer all your needs and exceed all your expectations. It’ll upgrade your biking experience in a way you never imagined it can be.